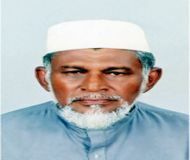 Al-Haj Ash-Sheikh Mohammed Jalaldeen Mohammed Riyal (Gafoori) (well known as Riyal Moulavi) was born on the 25th day of January 1933 in a village called Kammal Thurai in the Gampaha District of Sri Lanka. He started his primary education in 1938 at Kammal Thurai Muslim Vidhyalaya, which is now renamed and known as Al-Fala Maha Vidyalaya. In 1942 he left his primary school and joined Maharagama Gafooriya Arabic Collage in 1943 where he continued the studies till 1951. He obtained the honour of Al-Aalim at Gafooriya Arabic College in 1951. He then sat for the Senior School Certificate (S.S.C) examination, which was conducted by the government, in 1954. He continued his secondary school studies at Kalpitiya Senior School until 1956. 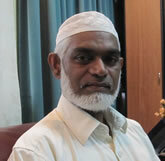 Moulavi Riyal became a trained teacher from Addalachchenai Training College in Sri Lanka. 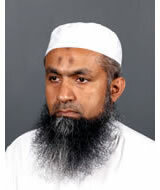 Born in the village of Nachchaduwa in Anuradhapura, Shahul Hameed Mohamed Faleel completed his Licentiate Certificate Examination in Islamic Studies & Arabic Language at Jamiah Naleemiah, Beruwala, Sri Lanka in 1987. 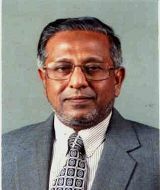 In the same year(1987), Sheikh Mohamed Faleel became Bachelor of Arts in the University of Peradeniya and later in year 2000 he became the Master of Arts. He also became the Master of Philosophy (M.phil. Reading) in Peradeniya University by writing the Thesis: “Concept of Tolerance and Coexistence in Islam and its application in a pluralistic society with special reference to Sri Lanka”. Sheik Mohamed Faleel accomplished the Diploma in Teaching Arabic for non Arabs at King Saud University of Riyadh, Saudi Arabia in 1996. 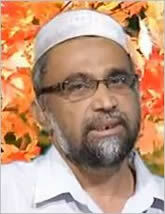 Ash Sheikh Mufthi Mohamed Haniffa Mohamed Yoosuf is a prominent and respected Islamic scholar in Sri Lanka. Since of late Mufthi Yoosuf's name has been very popular amongh the house holds in Sri Lanka, for his inspiring series of lectures via various modes, inclduing some lectures via Sri Lanka Broadcasting Corporation and live streaming. 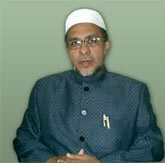 Mufti Yoosuf completed his primary education at Al-Mannar Central College, Handessa, Kandy, Sri Lanka. 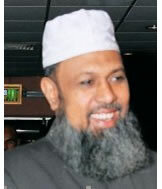 He completed his initial alim course at Rahmaniya Arabic College (1981), Akurana, and Thabligul Islam Arabic College (1983), Sammanthurai,Sri Lanka where he completed his higher studies in Sharia at Rahmaniya Arabic College, Akurana in 1989. Ash Sheikh Magdoom Mubarak is a prominent Islamic scholar in Sri Lanka, well known for his insightful and thought-provoking talks on Islam. Born to a devout Muslim family in the village of Malwana a picturesque town with a substantial Muslim population in Central Sri Lanka, Sheikh Mubarak was inspired in his young days by his father Magdhoom Alim who served as a religious teacher in Madhrasa al- Mustafaviyya, Malwana, and later by his teachers such as P.T.M Ibrahim (Azhari) in Madhrasa Maktabul Uloom in Malwana. He pursued his secondary Islamic studies at Ghaffooriya Arabic College, Maharagama, which he completed in 1970 before choosing to start life as a teacher. As fate would have it, the young Mubarak while teaching at two state-run schools Darussalam Muslim Vidyalaya (today Al Azhar Central College) in Thihariya and Gal-oluwa Muslim Vidyalaya in Minuwangoda was given the opportunity by the Grace of Almighty Allah to pursue his higher studies in the Kingdom of Saudi Arabia in 1973 through a scholarship and completed his Graduate Studies at the Islamic University in Madina in 1978. He holds a Bachelor of Arts degree in Shari’ah from Al-Madina Islamic University in Saudi Arabia.